Advantage Ontario, the full report of the Ontario Jobs & Prosperity Council—chaired by Royal Bank CEO Gord Nixon—was released on Wednesday. It focuses on five areas: exports, productivity, innovation/entrepreneurship, skills/training, and regulation. The report mostly repeats a lot of familiar observations at a very high level, so we get the usual (which isn't to say incorrect) plaints about how Ontario businesses underinvest in R&D, how the regulatory burden is an impediment to growth, that our companies need to focus more on exports to emerging markets, that government business support programs are too fragmented, immigration is vital, manufacturing is critical to the economy, not enough parents and students appreciate careers in the skilled trades, and so on. All things we've heard many times before. Which would be fine, if the report facilitated action on fixing these issues, but in most cases the recommendations are only a notch or two above "something should be done about it" (or, in many cases, "something has been done, but we think there's need for more"). The report is heavy on obvious exhortations and light on anything that will change what anyone does tomorrow morning, and there are rarely specifics that would make their implementation any easier today than the last dozen times the same ideas have been suggested. On innovation and entrepreneurship, the council suggests the creation of a "business-led commercialization voucher" to encourage collaboration between businesses and public research institutions. (How this would be different from the many existing subsidies for industry-academic partnerships isn't specified.) 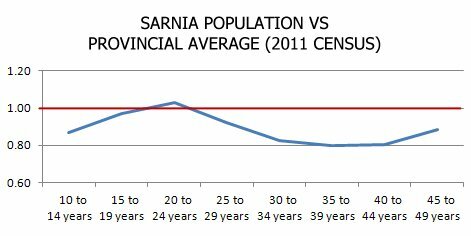 It says that funding in the Ontario Network of Excellence (ONE) program should be "better aligned" with the needs of "regional clusters with the greatest potential for growth"—which is one way to allocate increasingly scarce resources, although now that I've expanded my horizons from two of the biggest "have" clusters in the province (Toronto and Waterloo) to some of the "need-to-have" regions, I'd be worried about taking this approach too far. There's a lot of potential for strengthening the economy through innovation improvements in areas outside of the leading clusters. The report also encourages the elimination of barriers to crowdfunding, and supports the exploration of other measures such as an angel investment tax credit. The council wants the province to replace its current "too fragmented and too complex" business support programs with a "one-window" model that focuses on exports, productivity and innovation. The programs would be delivered through a Jobs and Prosperity Fund, which the report suggests should start at $150 million a year and expand as existing programs come to an end with those expenditures (minus spending cuts) then allocated to the fund. Incentives for foreign direct investment would be funded separately from the Jobs and Prosperity Fund. Initiatives to help university and college students start their own businesses (Ryerson's Digital Media Zone and U of T's DesignWorks are specifically mentioned) are lauded by the council, which also recommends the creation of "entrepreneurship high schools" and more entrepreneurship education in secondary schools. 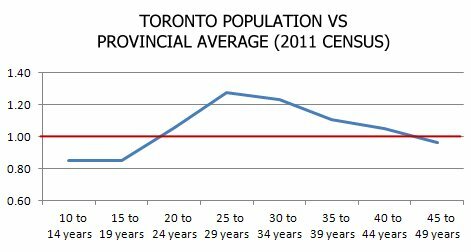 From a council with heavy representation from business (RIM's Mike Lazaridis and Linamar's Linda Hasenfratz were among the members), the section on productivity is disappointingly short on discussion that would be of value to business managers and is mostly written at the usual "sitting in my office crunching StatsCan data in a spreadsheet" level that has repeatedly been shown to be every bit as ineffective in shaping management decisions as you should expect. The council was not enthusiastic about a proposed tax credit that would reimburse employers 10% of salaries of new hires in their first year of employment. And the report floats the idea that expanded user fees may be necessary to pay for all the infrastructure improvements the province will need to remain globally competitive. Pages 29-35 summarize the report and its recommendations. The focus on productivity, innovation and exports captures much of the current "state of the province" thinking, and if the report doesn't exactly clear many new paths, it's useful in pointing the direction we're heading. 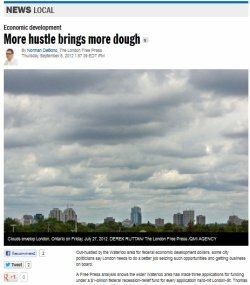 So far, most of the FedDev funding for businesses in the London area—other than the huge $10 million contribution to help Mississauga-based Dr. Oetker Canada build a London facility—has come indirectly, though programs such as the Graduate Enterprise Internship ($1.8 million provided to the Research Park/Stiller Centre, most of which gets passed through to companies to help them hire STEM graduates) and the Applied Research and Commercialization initiative ($1.25 million to Western to enable the university to work on projects on behalf of companies). So the announcement that will be made later today by MP Susan Truppe of FedDev funding for London-based Cyborg Trading Systems is something different and exciting for the city—and FedDev couldn't have selected a better company. When I started working in London in the fall of 2010, Cyborg had just become a client of the Waterloo Accelerator Centre's Accelerator Program and had opened an office at the Communitech Hub in Kitchener. By then, they had already been working with the London IRAP office for some time and had recently received a $300,000 contribution from them. That's not a level of support that IRAP hands out easily and that told me the company was on to something interesting. They were even on the cover of Business London magazine that month. I was eager to meet them and, even though they weren't involved with TechAlliance, invited them to the Founders and Funders Dinner where I got to sit with the three founders (CEO James McInnes, CFO Ben Bittrolff and CTO Peter Metford). They had a strong mix of industry expertise and technical skills and were as impressive a company as I had met in London. They were also very encouraging about the quality of tech graduates in London, speaking highly of Western and Fanshawe and the people they had hired from each. The conversation would have made a great recuitment video for either school. As someone who had been immersed in the Waterloo tech scene for nearly 15 years, my assumption was that Cyborg opened an office in Kitchener for software development while keeping business operations in London, so it was a surprise—a pleasant one—to hear that it was really just the opposite. Among the founders, it was the CFO who was in Kitchener. The company has been working with FedDev for some time now and it's good to see that work pay off. In a letter of support I wrote to FedDev last year, I said Cyborg had "quickly become one of the most promising innovation-based companies in the city" and I know the entrepreneurs-in-residence at Communitech and the in-house mentors at the Accelerator Centre have been very impressed as well. So, congratulations to Cyborg Trading Systems. The FedDev funding is only the tip of the iceberg of the great things that have been happening with the company. Its success shows that strong tech companies can start in London and underscores what I've said before about the value of the work that IRAP has done in London in finding and supporting early-stage companies (I believe IRAP has been working with Cyborg for nearly four years now). London may not yet have anything comparable to the Accelerator Centre or the Communitech Hub, but those resources aren't far away and Cyborg has shown the value those organizations can add to a high-potential company—even one based in London. AFTERNOON UPDATE: The announcement has now been made—FedDev will provide Cyborg Trading Systems with up to $381,500 under its Prosperity Initiative (which is different from the Investing in Business Innovation program I discussed in an earlier post). According to the news release, the money will be used "to help it expand its operations, take advantage of existing market gaps, and further establish its global market presence. 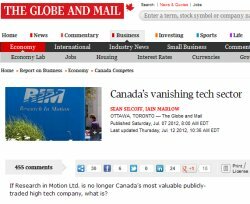 This is expected to create 16 new, high-tech jobs at its London and Kitchener offices." 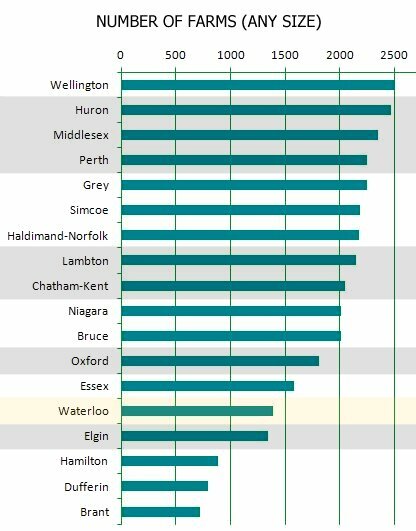 Getting back to FedDev and the differences in funding between Waterloo and London (see "Gap between FedDev spending in Waterloo and London not as large as it looks," September 10)—a discussion initiated by a couple of stories in the London Free Press. 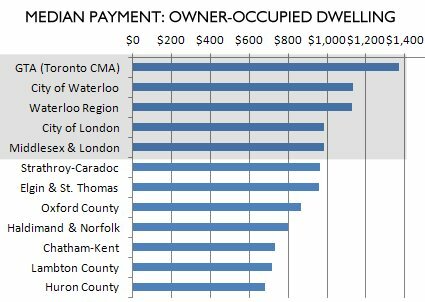 The Free Press tried to aggregate all FedDev money going to Waterloo and London over the last three years—and didn't do it well. But even if you could do it well, it's an approach that's going to hide more than it reveals. FedDev's focus has changed significantly over that period. Early on, funds went to municipalities to help them upgrade their recreation infrastructure—arenas, swimming pools, sports fields, and so on. 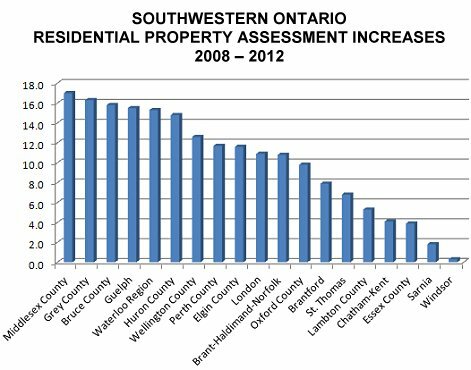 Just in Southwestern Ontario alone that amounted to more than $40 million. More recently, there's been an emphasis on providing (repayable) funds to businesses to help them attract investment and improve competitiveness. So if you're looking to draw conclusions about support for business—as the Free Press was—it's more relevant to look at program-by-program comparisons instead of lumping together money for business and infrastructure and everything else FedDev has supported. 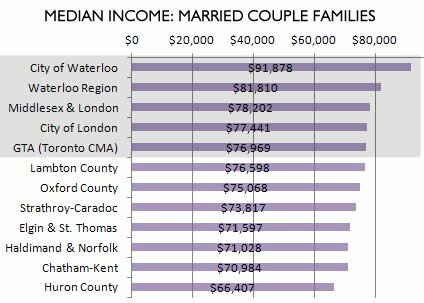 No difference there: the angel groups serving Waterloo Region (GTAN) and London (SWOAG) received the exact same $50,000 ... as did most angel groups in Southern Ontario. Every one of these companies is from the tech sector and there are lots of old friends represented on the list—people I worked with through Communitech and WatStart and some Accelerator Centre clients as well. Yes, that would be zero companies receiving $0. 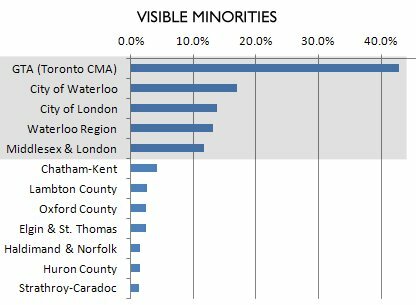 So here's where there's a huge difference in FedDev fundings between Waterloo and London. How you interpret it will be a bit of a Rorschach test. For those of us coming from Waterloo, it sets off alarms. I have difficulty seeing it as anything other than more evidence of the weakness of the London tech support ecosystem over the last several years (with IRAP as a significant exception). But Londoners who haven't been immersed in the Waterloo environment are more likely to take it in stride. They get sick of hearing about Waterloo and I doubt they'd even be motivated to look into it. Even if they did, they'd likely point out that Hamilton hasn't had any either (true), and Ottawa's only had a couple (true again), and decide it's really not so bad. That's one way of looking at it, but it's hard for me to see the inkblots that way when I can remember when the gap between the Waterloo and London tech communities wasn't all that wide. Now they're in two different leagues and the distance between them is growing. The success of BizInc has been a hopeful sign for London. It's done a great job since launching two years ago. It was through BizInc that I met eProf ... which went to Toronto to become one of the first cohort of startups in MaRS' Jolt program. And it was through BizInc that I met Coachd ... which went to Kitchener to become one of the first cohort of startups in Communitech's Hyperdrive program. Jolt and Hyperdrive had highly competitive selection processes, and made-in-London startups made the cut in each. That's very promising. Unfortunately, they both had to leave the area to get the support they needed. The gap between Waterloo and London in IBI funding is certainly not FedDev's fault. 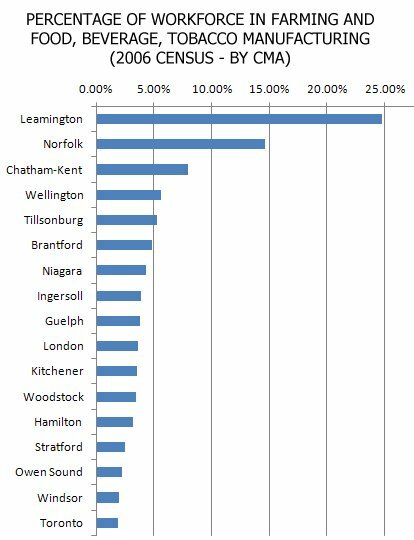 In fact, fundings made by the provincially-funded Investment Accelerator Fund (managed by MaRS) in Waterloo Region and London would show an almost identical gap—and with several different companies in Waterloo getting funded. 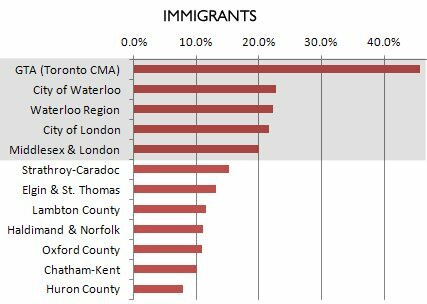 And don't point fingers at LEDC—which received the most votes in the Free Press online poll of who was to blame for the (largely imaginary, in my analysis) gap in total FedDev funds provided to London and Waterloo. The FedDev success that London has had—particularly the Dr. Oetker facility and the funding for the cargo centre at the airport—have been initiatives where LEDC was heavily engaged and which fall within its mandate. 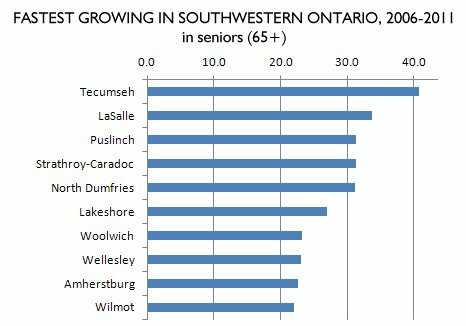 If the numbers were reversed, I can guarantee you that few people in Waterloo would be blaming CTT, the Waterloo Region counterpart to LEDC. But there would be people driven to action, and that's probably the biggest difference between Waterloo and London. 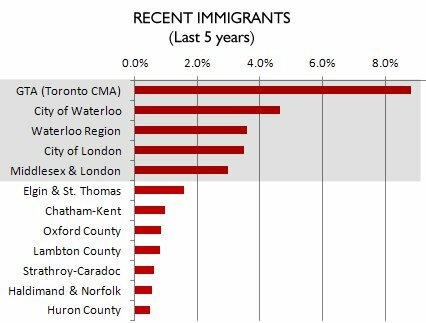 In London, it'll almost certainly be another round of the same, from the same people who sat watching as Waterloo Region pulled away and vanished over the horizon. And now that Hamilton seems to have its act together, London may get to go through it all over again. The Public Accounts of Ontario for fiscal year 2012 (ended March 31) have been released, showing—among other things—the transfer payments made by the Ontario government to various organizations though the year. Some of these dollars are passed through to other organizations, but that level of detail isn't provided. 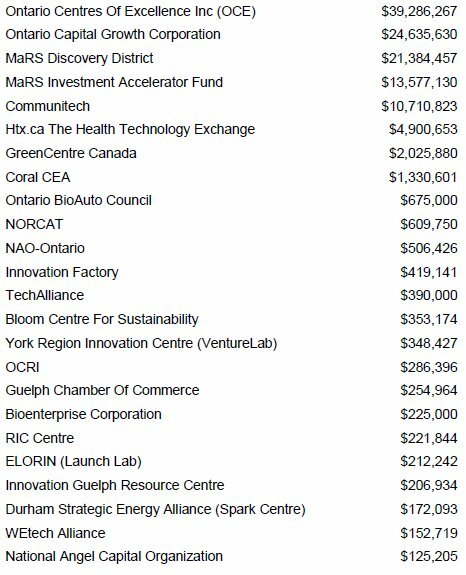 Many of these organizations receive other Ontario government funds, but these are the direct transfer payments recorded in the public accounts. Several of these fundings were through the Ontario Network of Excellence (ONE) program, which has about another 10 months to go under existing contracts. Overall, the top recipients as shown in the public accounts for the research and commercialization sector were the Ontario Institute For Cancer Research ($82.1 million), Hospital For Sick Children ($49.6 million) and the University Of Toronto ($42.6 million). OCE was fourth. I've used government disclosure statements as the basis of reports for years, but I still get a little uneasy when I do. They're almost never as clear or detailed as you'd wish, and can be a minefield for the unsuspecting. A story last week in the London Free Press (a follow up on an earlier story I hadn't seen) compares contributions made by FedDev in the Waterloo and London areas—a story based on FedDev disclosure statements over the years. On the one hand, it concludes that Waterloo Region is more aggressive about pursuing government funding than the London area, and that's been my experience as well—specifically, in the tech sector. But the story manages to fall into some of the traps that await readers of disclosure statements. 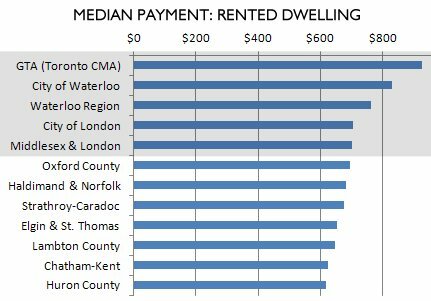 And in so doing, I think it misses the interesting story that the FedDev numbers point to—one that's a bit concerning from a London perspective (which I'll save for another time, since my blog posts are usually way too long). 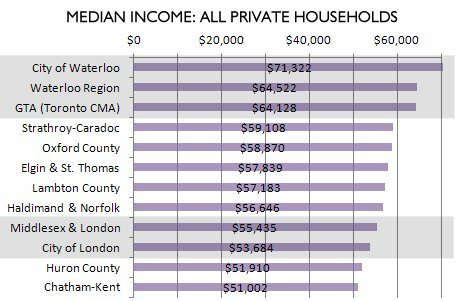 The Free Press reported that Waterloo has received $87.4 million from FedDev compared to $37 million for London. Looking through the numbers, though, I'd say both of those figures are misleading. The actual gap seems closer to $5 million than $50 million. Using that line as an example, you'd probably conclude that Brantford got $12 million and no other area received anything. In fact, very little of that $12 million will end up in Brantford. It's for a fund, now called SOFII, to help companies across Western Ontario—including all of Southwestern Ontario from Windsor to Guelph and beyond. 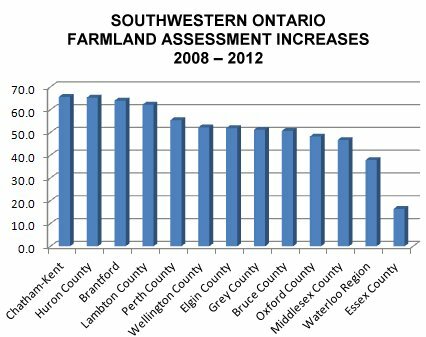 But FedDev disclosures are listed with just a single municipality or community, and, in this case, since Enterprise Brant was the administrative lead on the WOCFDCA proposal, Brantford is that city. You can't always go by the municipality that's listed—sometimes you have to dig deeper, and that's usually not easy. It says Mississauga—and the Free Press didn't include it in the local numbers. But it's actually the largest contribution that FedDev has made to London—funding for the new Dr. Oetker facility in the city. (LEDC's Peter White is quoted talking about it, but it still wasn't included in the London tally.) Dr. Oetker Canada has its HQ in Mississauga, so that's what's in the disclosure, even though the money is being used for London's benefit. Again, if you don't know what you're looking at and don't have time to look into it, you'd think the City of Waterloo got $19.6 million from FedDev. But it really didn't. That's actually FedDev's contribution to the Southern Ontario Water Consortium, announced at last year's AMO conference. London is also a node in that network, as are Toronto and Guelph. The money is actually going to all those areas, but only Waterloo is shown in the disclosure. There are other tricks and traps in analyzing the disclosure statements (projects get cancelled, dollar amounts get changed and the revisions can look like new fundings), but the one likely to create the biggest errors is allocating all the dollars to the municipality in the disclosure. It would make analysis much simpler if you could do it that way—a quick copy, paste, and sort—but accurate results require more work than that. The Free Press also used a questionably broad definition of the Waterloo area. 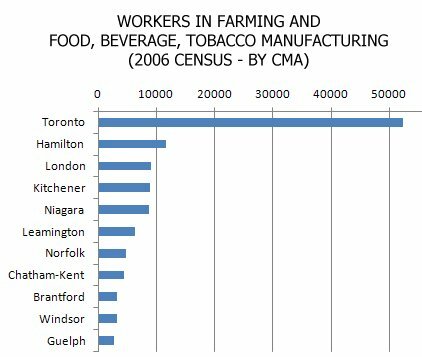 They didn't say what they were using, so I'm not sure, but it looks like they included Guelph on top of Waterloo Region—which takes us far beyond reach of anything apples-to-apples. 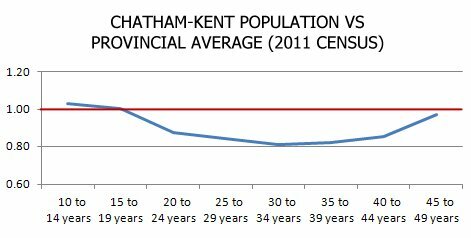 Waterloo Region is already slightly larger by population than the London CMA, but they're close and make the fairest comparison. 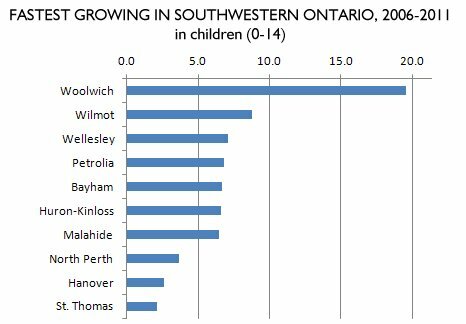 Adding Guelph on top of Waterloo Region is just stacking the deck. So, if we call the Water Consortium funding a push and take it out of the calculations (how much is going to each node has never been disclosed, so we don't know how to divide the pot), I'm left with $54.5 million in disclosed FedDev contributions to organizations in Waterloo Region. Add the Dr. Oetker $10 million to the totals for the London area and I get $50.3 million ... and then you'd need to add millions more to each for the Water Consortium and funding for SOFII and anything else allocated to other areas in the disclosure statements but actually used for the benefit of London and Waterloo Region, minus amounts shown for those two regions that are actually being used elsewhere. We don't know what those are, so we can't do the calculations. 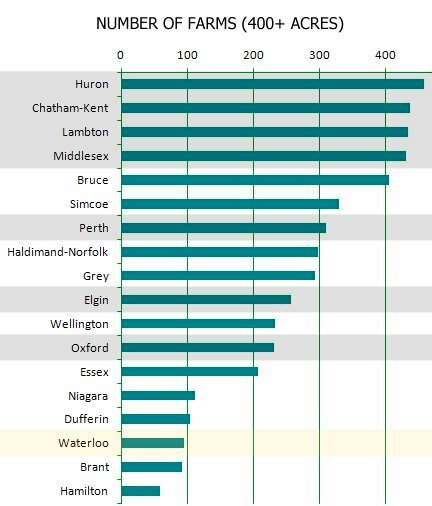 I'm not sold on the value of comparisons of the aggregates in this way—and I never feel very confident drawing conclusions from disclosure statements—but the difference in FedDev funding between Waterloo Region and London doesn't look to be anything close to $50 million. Fed Dev has disclosed its contributions for the first quarter of fiscal year 2013, covering the April-May-June period. Three companies from Southwestern Ontario are on the list: Guelph's Well.ca, Cambridge's Fongo and Brantford's Systems Logic. FedDev contributions to businesses are repayable. All Community Futures Development Corporations in Southern Ontario receive their funding through FedDev. The funding for universities and colleges is under the applied research program and will be spent on projects that assist individual businesses. A few years ago, a couple of my hobbies led me to read over hundreds of sports sections from the Toronto Star and the Globe and Mail from the 1930s, 40s and 50s. Although I was scanning for particular information, a couple of general trends jumped out. First, that day-to-day coverage of local women's sports was much stronger in the 1930s than it is today, and second, the huge role of horse racing in mainstream Toronto sporting life. It was everywhere. I wasn't researching horse racing, but it was impossible to avoid reading about it, and it was impressive. I'd never been to the races, but after immersing myself in these old sports sections and the Toronto sports world of that era, it felt like something I should do. I got as far as taking a look at the website for Mohawk Racetrack—not very far from Waterloo—but I never did go. Nostalgia only goes so far, and whatever horse racing once was as a cultural force, it sure wasn't any more and hadn't been for decades. In recent years, if Ontarians were at a race track, they were probably there for the slot machines and not for anything related to horses. Horse racing was already in decline when government-run lotteries began appearing in the mid 1970s. Lotteries greatly expanded in the 1980s and the introduction of casinos in the 1990s looked like it might be the end of the line for racing ... except that the provincial government agreed in 1998 to place slot machines at racetracks and give the horse racing industry 20% of the revenue. Last week, the three-person Horse Racing Industry Transition Panel put together by the Ontario government in June—and comprised of former cabinet ministers from NDP, PC and Liberal governments—delivered its interim report. It paints a picture of an industry that not only managed to stay alive off its cut of slot machine revenue—hundreds of millions of dollars a year—but got fat off it, with more tracks, more races and higher purses than almost anywhere else in North America. But it also describes an industry lacking in vision and leadership, ready to coast complacently in the slot machine slipstream with no urgency around finding a sustainable business model. And now the gravy train is coming to an end, as the government has decided it has better uses for those hundreds of millions of dollars than to put them into an otherwise unsustainable industry with a dying market. It's a huge blow to the tens of thousands of people who work in the horse racing industry. The panel puts the number at up to 30,000 FTEs, but with many of the jobs part-time or seasonal, the number of people who earn a significant part of their income in the industry would be much higher. And the government isn't wasting any time. It only gave one year's notice that it was taking slot machines away from the racetracks, and then took machines out of some tracks almost immediately (while continuing funding for another year). In its findings, the panel supports the decision to end the Slots at Racetracks Program (SARP), calling its continuation "poor public policy" that would "not be a wise use of public funds" and would allow the industry to "keep evading the competitive challenges of today’s entertainment marketplace." But while that may sound like the panel is championing a market-driven, sink-or-swim-on-your-own approach, that's not the case, as it encourages "reducing but not terminating public support" as "no Ontario racetrack has a viable business plan to continue racing operations after March 31, 2013" (the end of SARP) and "a viable, vibrant horse racing industry is simply not feasible today without public investment." It wants the government to continue to keep horse racing alive, but with less funding and more strings attached to the dollars—with objectives, benchmarks, and regular reporting required from the industry. And it says the government will have to oversee reform in the horse racing business as "the industry currently lacks the cohesion to save itself." Between this inability to save itself, the absence of viable business plans, and the panel's claim that the industry "has done little to modernize or repackage its product or even, until recently, think very hard about its future," you have to wonder why this is an industry worth saving. From a business perspective, it isn't. Instead, the panel points to horse racing as "a cultural asset" and discusses the dire consequences for the people who work in the industry, many of whom do not have transferrable skills and would have a hard time replacing the lost income (the report also discusses the impact on the horses—thousands of which would be euthanized, which in turn would also be devastating to many in the industry). Consistency is not a strength of the report, which says that SARP is bad policy and then suggests that maybe the government could consider paying "enhanced rent to tracks for their slots facilities"—just a different way to spin what SARP does. But it's clear that there are no simple answers (at least none that wouldn't have sombre consequences), and some inconsistency may be the least of the challenges ahead. Even if all the necessary reforms are made, the panel isn't under any illusions that the horse racing industry as we know it can survive. "Without a doubt, the horse racing industry of tomorrow will have a smaller footprint than it does today." You have to sympathize with the trainers, grooms, walkers, jockeys and others who weren't in a position to lead the industry out of its complacency and whose lives will be turned upside down by the end of SARP. A year's notice that $350 million in annual funding is being pulled is never going to go painlessly, and the panel reports that the (up to) $50 million in transition funding that the government has pledged isn't going to be enough to keep the industry alive in any significant form. But there really is no horse racing industry, if we define "industry" as a business sector. There's no sustainable business here—no market that can support the industry as it currently exists—and according to the panel, that's not going to change.